Third Tron Triptych Poster Revealed! Disney has released the third panel to the three-part Tron Legacy poster, featuring Jeff Bridges twice! New Section of the Tron Legacy Triptych Poster Revealed! 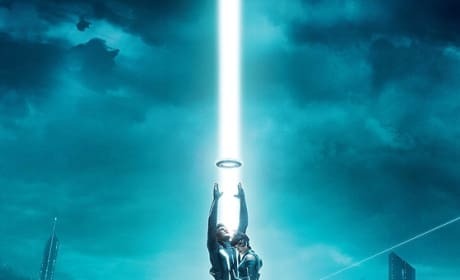 Disney released a second poster in what is apparently a three-part poster for Tron Legacy. 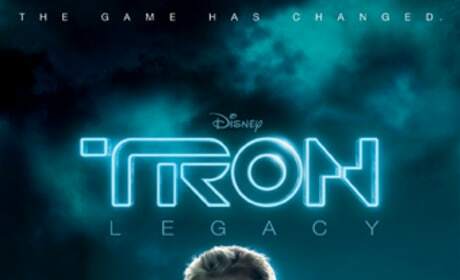 Jeff Bridges has been de-aged on a new poster for Disney's Tron Legacy, featuring the character Clu 2.0. 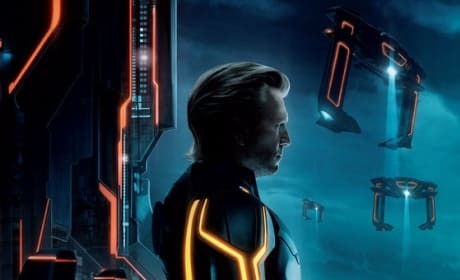 New Tron Legacy Poster Pays Homage to Original Tron Poster! Disney has released a theatrical one sheet poster for Tron Legacy, which harkens back to the franchise's roots. 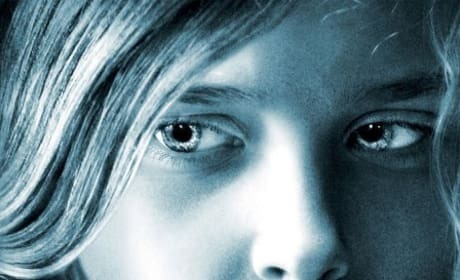 New Banner Posters for Let Me In and Tron Legacy Released! A quad poster for Matt Reeves' vampire film, Jefff Bridges banner poster for Joseph Kosinski's Tron sequel. Garrett Hedlund gets his own Tron Legacy banner to match Olivia Wilde's. 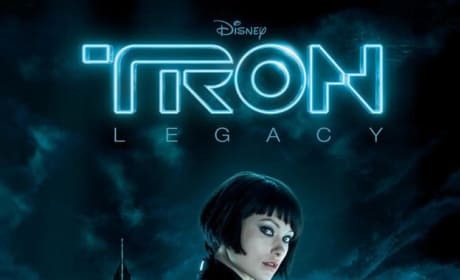 Get a Good Look at Olivia Wilde on a New Tron Legacy Banner! 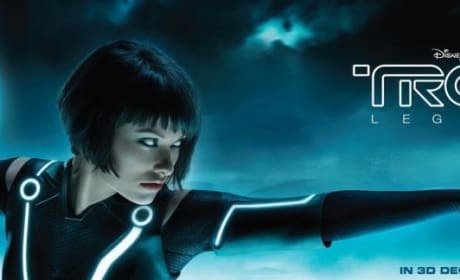 Olivia Wilde poses in skin-tight latex on a new Tron Legacy banner poster. Cool International Posters for Let Me In and Tron Legacy Debut! Two cool international posters feature Chloe Moretz and Light Gladiators. 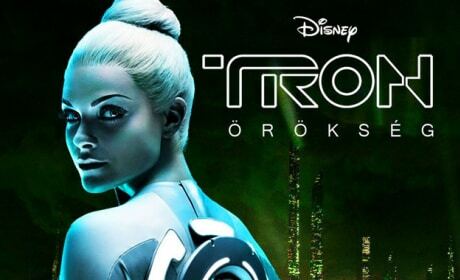 A new international Tron Legacy poster gives us a good look at Beau Garrett as Jem. 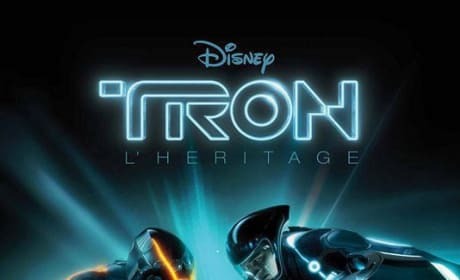 Disney released a cool new poster for Tron Legacy's French theatrical release. 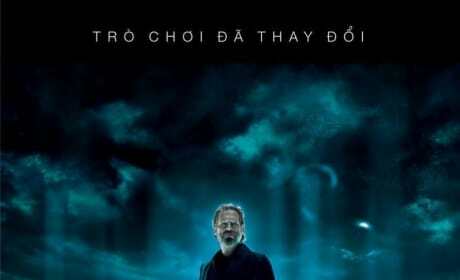 Jeff Bridges Featured on New International Tron Legacy Poster! 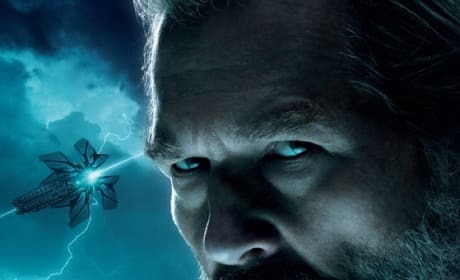 Jeff Bridges returns to the Tron universe as Kevin Flynn in Tron Legacy. Olivia Wilde Looks Fierce on New Tron Legacy Billboard! Wilde as Quorra, wielding a light weapon. [First lines] The Grid. A digital frontier. I tried to picture clusters of information as they traveled through the computer. Ships, motorcycles. With the circuits like freeways. I kept dreaming of a world I thought I'd never see. And then, one day... i got in. Kevin Flynn: You have no idea. Permalink: Dad? Sam. Long time. You have no idea.